Moldova does not have littoral and is delimited by Romania and Ukraine, with the ethnic divisions to try it, Moldova has crossed a long way in a little time and Moldova can be considered in many aspects more advanced that Romania than is friend of the European Union. The tourism of Moldova focus, without doubts, on the industry of the wine, since Moldova produces amazing excellent varieties and offers visits to the warehouses that will delight any person. In a trip to Moldova we advise you to visit Cricova that is not far from Chisinau. Less celebrated are the attractions among the vineyards: fields of sunflowers, the enormous watermelons, bucolic lands of shepherding and the incredibly friendly people. More sober attractions in Moldova can be the distant monasteries located in cliffs of limestone and a rural backdrop inhabited for friendly villagers always ready to give the welcome to Moldova. Moldova offers also something complicated. What might have been a fascinating ethnic mixture went out horribly badly in the decade of 1990. The Gagauzia Turks and Transdniéster’s Soviet zones inclined to declare their respective independences almost at the same time, which culminated in a bloody civil war. Nowadays, gagauz supports a calm truce with Moldavian, whereas the region of Transdniéster seductively strange is on the verge of re-open old wounded. Whereas still in the fight for the poorest title of Europa’s country, the prices of Moldova (especially, for the housing) are surprisingly high. Coming from Romania, expect to pay approximately the same money for almost all the products in Moldova. Tags: Moldova introduction. Moldova Overview. Moldova general information. Moldova travel information. Moldova and its cities. Moldova in europe. 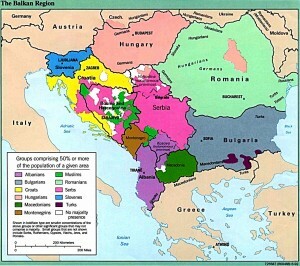 Balkans countries. Travel to Moldova. Visit Moldova.